It’s possible that Thomas Schorgl has saved the arts in Cuyahoga County—or at least many of the region’s arts organizations. 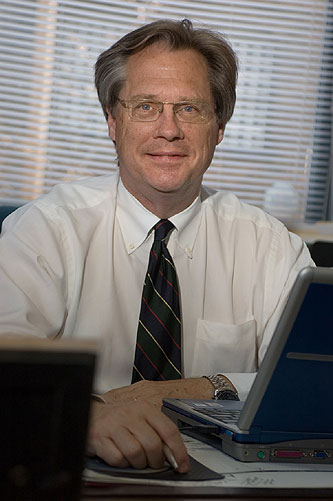 When the Cleveland Foundation and the George Gund Foundation formed the Community Partnership for Arts & Culture (CPAC) in 1997—having recognized the need to create a single agency to support the area’s arts and cultural sectors and to develop and implement a regional arts and cultural strategy—they hired Schorgl as the organization’s president and CEO. He left a prestigious job in the arts in Dayton and moved to Cleveland to take on this challenge, not knowing for certain if his new assignment was going to be permanent or even long term. Schorgl worked tirelessly, attending hundreds of meetings of all kinds, as well as conducting studio visits and other forms of research and outreach, in order to build invaluable and previously nonexistent bridges, first between arts groups themselves and then between arts, civic, business and political leaders. And then he set about to try to make everyone—from the business community and city and county government to the public—understand how important the arts are to a region. He conducted massive amounts of research on the economic impact of cultural endeavors that changed the public’s perception of the arts and their value. Along the way, he became an invaluable advisor and consultant to many arts organizations, large and small, throughout the region. Schorgl persuaded Cleveland City Council to change zoning laws so as to enable the creation of downtown spaces in which artists can live and work. The Cuyahoga County Commissioners began awarding Arts and Culture as Economic Development (ACE) grants at his instigation. Schorgl launched CPAC’s Artist as Entrepreneur Institute to provide business training to artists, and his advocacy of the Sparx in the City program saw more than $200,000 worth of work funnelled to 700-plus artists. But his greatest accomplishment has been his leadership of a political initiative that culminated in the November 2006 passage of Issue 18, a countywide tax on tobacco that was expected to produce approximately $20 million annually in support of arts and cultural organizations and individual artists in Cuyahoga County. In addition to mobilizing every segment of the community to vote in favor of the "sin tax," he had to win over state legislators and even drafted the necessary legislation that changed Ohio law to permit public support of the arts.